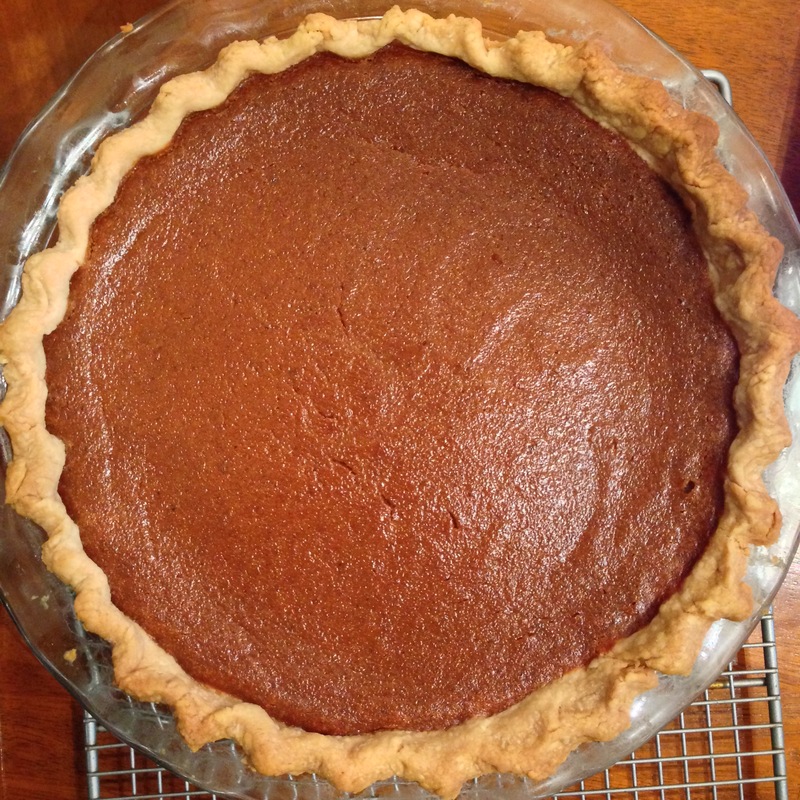 I really like pumpkin pie, especially on Thanksgiving, so I was sure to bake one this year, even if no one else at dinner really wanted it. A lot of recipes out there are very similar. I liked this one because of the spices (including the black pepper). This was a very good pumpkin pie. For next year, I will probably double the spices (maybe 1.5x). It’s definitely not necessary, but I felt like it could have used even more spice, though that could be because my dad often doubled the spices in various recipes. Preheat oven to 350 degrees. Roll out dough and place into 9″ deep dish pie plate (1.5-2″ deep). Trim overhang, using leftovers for more pie crust, decorations, or pie crust cookies. Crimp the edges. Pre-bake pie crust for 10 minutes (pie weights optional). While pie crust is baking, whisk pumpkin, eggs, and brown sugar together until combined. Add cornstarch, salt, cinnamon, ginger, nutmeg, cloves, pepper, heavy cream, and milk. Vigorously whisk until combined. Pour pumpkin pie filling into pre-baked crust. Bake pie about 55-60 minutes, until center is almost set, checking at 50 minutes and every five minutes thereafter. May need to protect pie crust with aluminum foil or pie crust shield around 25 minutes to prevent burning. Once done, transfer to a wire rack to cool completely.